Get a free subscription to our Health-Inspiration.com newsletter. 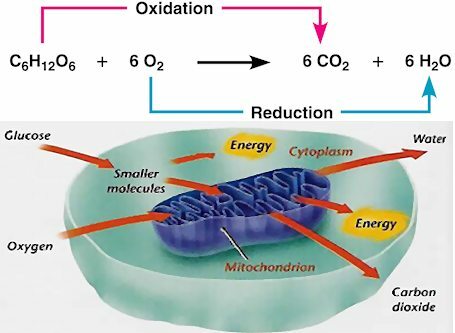 Mitochondrial Oxygen - Essential to Releasing Energy In Our Mitochondria: Six molecules of oxygen are required for each fuel molecule to be oxidized to release energy! 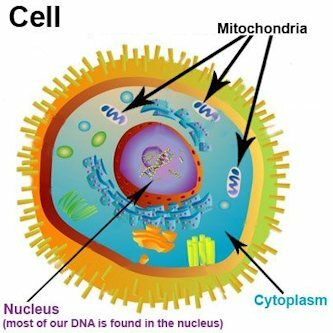 Just As Gasoline Engines Need Ample Oxygen to Produce Horsepower From Fuel, So Too, Your Cellular Mitochondria Need Oxygen to Power Up the Cell... and Your Trillions of Cells to Power Up Your Life! Conseqences occur when oxygen levels diminish in your cells. 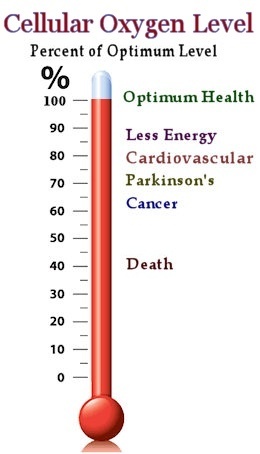 The first consequence is less energy, but then as oxygen levels go down even more, a person will develop cardiovascular dysfunction, mental dysfunction, cancer, and eventually death is the final result of lowered cell oxygen. The way to prevent lessened amounts of cellular oxygen is not to breathe more. People actually take approximately 17,000 breaths per day. About 3/4ths of the oxygen in each breath is used up by mitochondria energy creation processes, leaving 25% to spare (if cell membranes are built correctly). Unfortunately, there is only excess oxygen in the mitochondria when oxygen completely transfers into the cells. When cell membranes are resistant to oxygen transferring into the cell there can actually be a deficiency of oxygen. The secret to having correctly build cell membranes that “oxygen attracting membranes” is to eat oxygen friendly oils, or that which we call Parent Essential Oils. Parent Essential Oils are oils that contain Alpha-Linolenic Acid and Linolenic Acid, also known as Parent Omega 3 and Parent Omega 6. These oils are not to be confuesd with aromatic oils, or with fish oil or Omega supplements. Learn more about Parent Essential Oils and maintaining high levels of cellular oxygen. Also, we recommend learning about ASEA and Cell Food, two other ways to increase cellular oxygenation. Contents Copyright © 2008-2012 Health-Inspiration.com All rights reserved. Disclaimer: The information provided on this site is for informational purposes (sharing of ideas) only and is not intended as a substitute for one-on-one advice from your physician or other health care professional or any information contained on a product label or packaging. You should not use the information on this site for diagnosis or treatment of any health problem or for prescription of any medication or other treatment. You should consult with a healthcare professional before starting any diet, exercise or supplementation program, before taking any medication, or if you suspect you might have a health problem. You should not stop taking any medication without first consulting your physician. * These statements, products and practices have not been evaluated by the FDA. They are not intended to diagnose, treat, cure or prevent any disease.